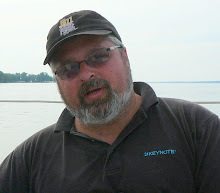 My daily (well I am trying to update daily now) weblog covering topics such as wind power, embedded electronics, software development, CNC Machines and some fun stuff like travel and sailing. VAWT Video Part 2 - Power Generation. Please check out the following link to a YouTube Video of part two of our wind turbine build. Video - Part 2 This shows our geared generator design and a desktop CNC machine cutting gears. 1. Geared design shown in this video. 2. A version with a built in rotating cylinder of permanent magnets exciting a stationary coil (permanent magnet alternator) with no mechanical gearing and hence no mechanical loss as is inherent with gears. 3. Another type with a geared automotive generator (no magnets at all) whose mechanical resistance is controlled with PWM(Pulse Width Modulation) by a microcontroller controlling power into the rotating coil. 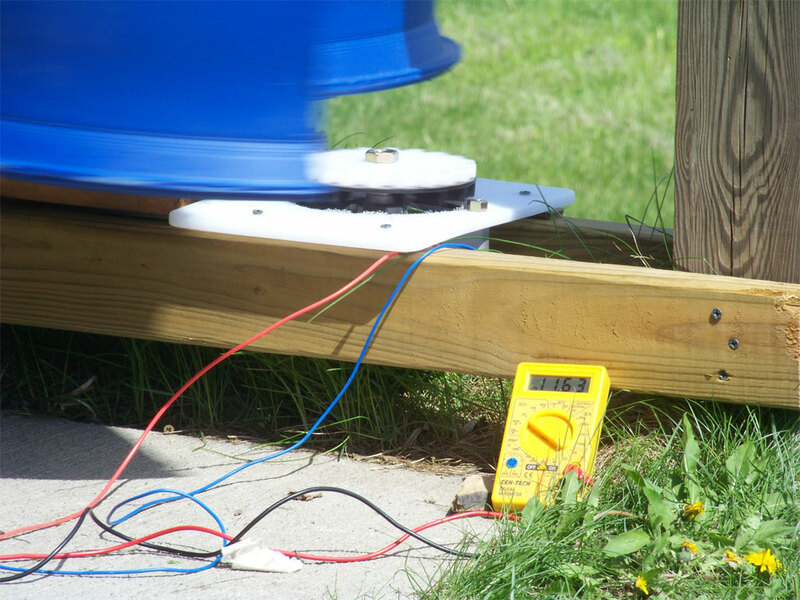 With no power, the coil should free-wheel with minimal resistance. In strong winds, we could "make hay while the sun shines" by putting a lot of juice into the coil. In light winds, the power in the coils is reduced to an amount which still will at least hopefully trickle charge the battery. A small permanent magnet motor-generator would be used to jump start the process and handle the case of a totally dead battery, and could "trickle charge" a dead battery. This design is very interesting from a software point of view, but has the highest amount of technical risk. The wind speed, RPM, and outputs will be monitored, and more importantly compared, with a flexible sensing and visual programming environment called NeatTools, which will be discussed and "filmed" in future posts. We will also be using a TNG-3B from http://www.sensyr.com in conjunction with NeatTools to simultaneously monitor multiple inputs from hall effect sensors (from a small magnet on each turbine axle), voltage sensors, and a wind speed sensor. My name is Jeff Berezin. I live in Central New York and enjoy tinkering. I have been involved with computers since punched cards, and am now involved in embedded programming with PIC and Luminary Micro chips. I have a degree in Computer Science from Purdue (1980) and a masters in Systems Engineering from U/Mass Lowell. I have worked for the Raytheon Scientific Computer Center, Genigraphics (GE Graphics Spinoff), and co-founded both affordabell.com (now part of verdin.com) and emedicine.com (now part of webmd.com).